These Betsey Johnson "Lacy" shoes came to me via a Ruelala.com sale - popped in my email inbox one morning and BAM! - I had to have them. Never mind that I had no occasion to wear these. Never mind that these are taller than any other heels I own. Never mind that I knew I wouldn't be able walk farther than a few blocks in these. Never mind that I absolutely do not and did not need anymore shoes. I still had to have them. They have a flamboyant flower on the ankle. 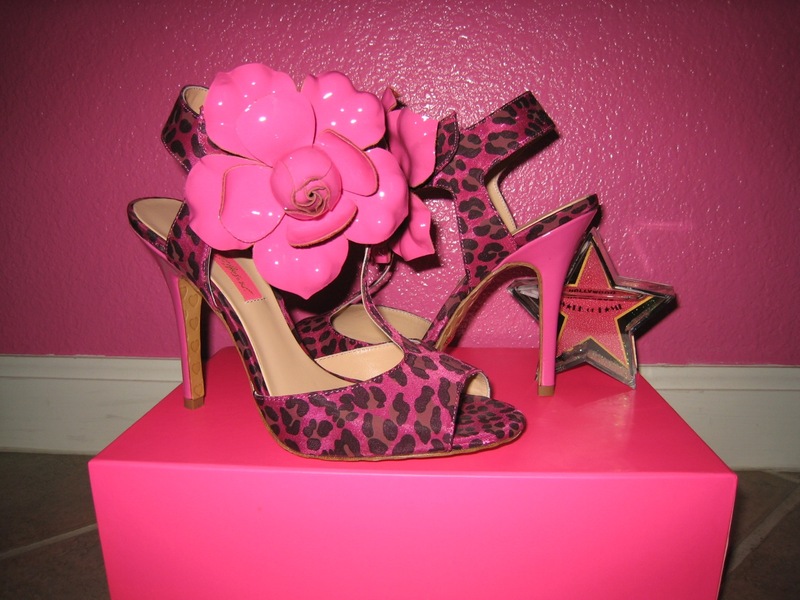 Oh, Betsey Johnson, thank you for fun and fabulousness of shoe design!